The National Broadband Map and California Broadband Map are based on carriers’ advertised service data. Looking at the National and California Broadband Maps, one might assume that most of Mendocino County is fully served. Living, visiting, and doing business, in Mendocino County shows otherwise. ￼￼For many areas of the County, the service advertised by carriers differs significantly from the service carriers actually deliver to consumers on the ground. Ground-truth median service values are often far worse than advertised services values in Mendocino County. In other portions of the County, service advertised by the carriers is not actually available, even though it is shown as available on the Broadband Maps. The ground truth is that much of Mendocino County is unserved or underserved, contrary to the National and California Broadband Maps. Unfortunately, broadband deployment grant funding, intended to eliminate the digital divide, is based on the carrier’s misleading advertised service data shown on the Broadband Maps. 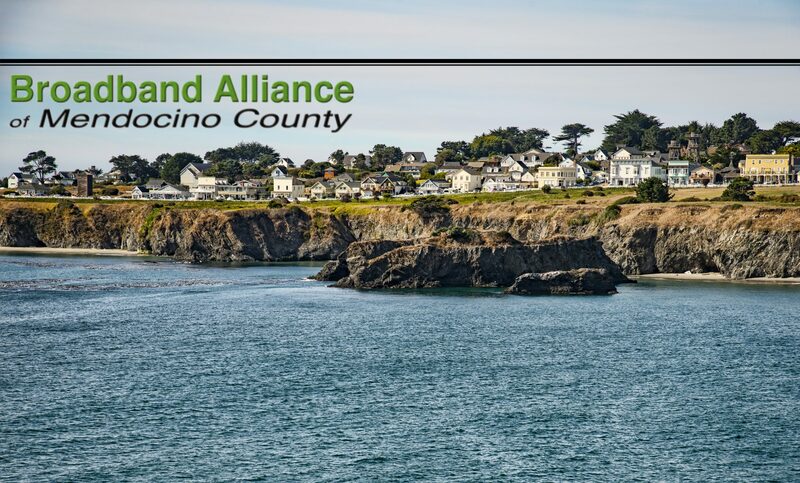 Because broadband deployment grant funding is based on advertised service, Mendocino County doesn’t receive the funding it needs to eliminate the digital divide. The digital divide will not be eliminated in Mendocino County until broadband deployment grants are based on service actually delivered on the ground.